Do you believe in sixth sense? Observing a baby can give you a hint that there is an extraordinary things happening around us. Isn’t it strange a baby is laughing without someone is playing with them while their mother is busy doing the chores? Or, why they are suddenly crying out loud, when no one is there bullying them or they saw something really scary even their mother carrying them? Do babies can see the angel, the ghost or the spirits? If they can see those weird things, why can’t we? Actually, when we are on their stage, we do see those creatures that we do not see at this age. Why? The reason is all of the babies have the purity in their soul. Their energy is still in balance; their auric power is in the divinity stage that opens their entire sensory psychically active so their eyes can see something more subtle, their ears can hear the majestic sounds, their nose can smell relaxing scents and taste the delightful foods. 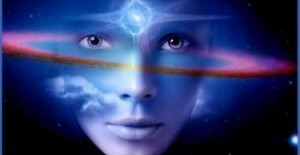 Those psychic sensory is what we all know as the sixth sense. The sixth sense is the special and a psychic ability all human have. This is an inborn ability, but will later on, as we all grow, became inactive and sometimes totally closed when our spiritual energy disrupted by negative energy. When this happens, you will never believe that there are extraordinary things that surrounds us. Your entire sensory is limited to physical matters only. Your eyes cannot look beyond the physical objects, your ears can hear the noise around, your nose can smell what is near scents and your tongue can taste what is dominant ingredients of food. How are we going to know if our own sixth sense is still active? You can determine for yourself whether your psychic ability is still active through the following questions: – Do you hear some noise when no one is around, or sometimes a voice that calls your name? – Can you see a strange child in your office building at night? – Can you smell the strange scents of flowers that is not existing in your current location? – Can you move an object from one place to another in just a look? – Or, have you seeing a vision, a premonition or an event that happens from the past or will be happening in the near future? There are lots of things our psychic ability can do, but you are not yet aware of it. Controlling it is hard when you are not yet attaining the divinity of your energy. The guidance of the psychic expert can help you in opening the pathways of energy or sixth sense, and creates ways of communication with your inner being. Meditation will let your intuition dissolve the blockage within your energy and with a gradual practice, it will let you purify the energy to attain the balance. Yoga and Reiki are also helpful to make the healing process easier. This can save you from the stress and will help you manage your abilities and understand how it works and when is the proper time to use it.